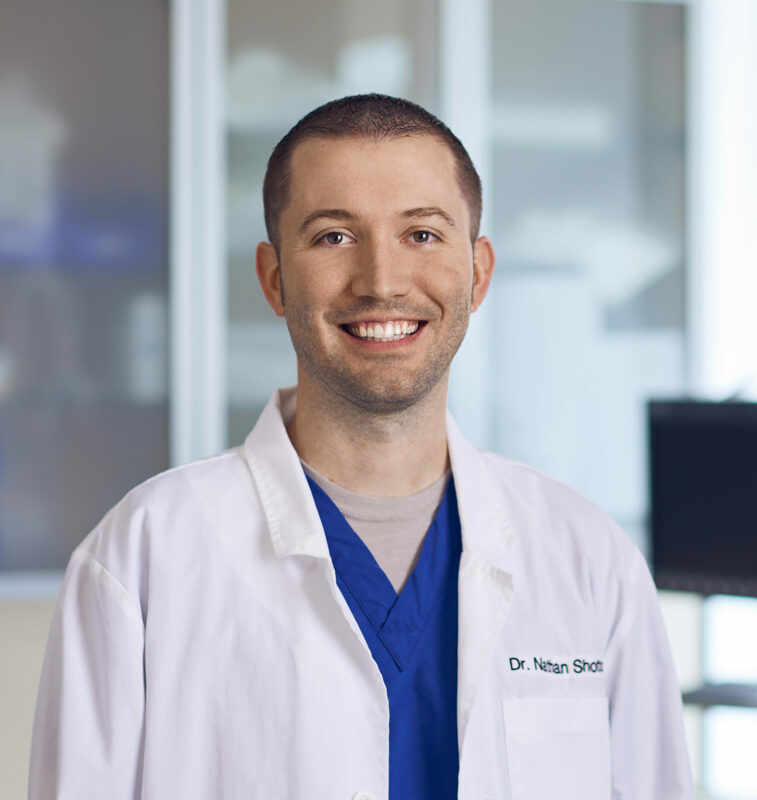 Dr. Nathan Shotts received his Doctor of Veterinary Medicine degree from Texas A&M University in 2014, having previously graduated with Bachelor of Science degrees in Animal Science and Biomedical Science in 2009. Dr. Shotts worked in emergency and critical care at the Texas A&M Veterinary Medical Teaching Hospital throughout his veterinary education, and has been working in the Houston area since graduation. In addition to emergency medicine, Dr. Shotts has a vast spectrum of veterinary experience, including advanced training and experience in assisted reproductive technologies such as artificial insemination and embryo transfer, as well as veterinary experience at zoos and even a marine mammal facility. Dr. Shotts’ professional interests include reproductive emergencies, stabilization of critical patients, toxicities, transfusion medicine, and trauma.